You probably heard about Easter egg roll but have you heard of mini egg rolls? well it's an side dish invented by the American-Chinese influenced Indian / Pakistani spring rolls which are very big side dish served in all sorts of ceremonies and events. 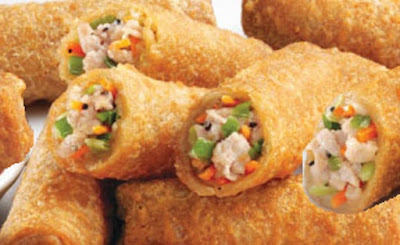 Mini egg rolls are prepared exactly the same way as the spring rolls. There is not much history to it but that doesn't mean the taste is not there. Since the American-Chinese cuisines started this side dish it has spread around the world like wind and they are available almost everywhere but the taste of home cooked food and market food differs a lot. If you like it please do use comment box below and do not forget to subscribe our site to get new recipes everyday, we don't just share the recipes from around the world, we dig the history for you to bring some of the best recipes for you and we bring the memories of ancient life into your kitchen. Whisk soy sauce, vinegar, and 1 tsp cornstarch in bowl, blend and set aside. Add cornstarch mixture, cook till its thickened. Take it off the stove and put it in a plate and cover it, let it cool slightly. Place several wonton wrappers/ spring roll wrappers on work surface with a corner of each facing you. Brush top corner of each with beaten egg, Put 1 Tbs filling in center of each; fold bottom corner, then both side corners over filling, and roll up. 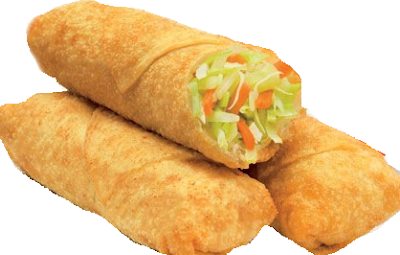 Place egg rolls on baking sheet dusted with cornstarch. Heat the oil to fry the egg rolls, fry till light brown or if you would like to bake them then preheat the oven at 420°F 15 minutes before baking, spray the baking tray with cooking spray, brush the rolls with beaten eggs and place them on the baking tray, bake till lightly brown from all the sides.